The best course of action is to not get blocked in the first place. If you set up a good daily routine in which you do something small every day and chain-smoke on your projects, there’s less chance of stalling out and getting blocked. Schedule the little chunk of time every day to do your work, set a timer for as long as you have, and if it’s not going well, when the timer goes off, you walk away, forget about the work, and go about the rest of your day, knowing you’ll take another whack at it tomorrow. That said, blocks will come, and at times you’ll stall out and feel stuck. What I find is that problems of output are usually problems of input. I often get most blocked when I lose sight of why I began my work in the first place: because I was inspired by the work of others and wanted to join in the fun. In other words: all writers are readers first. When I stall out, it’s time to start taking things in again: read more, re-read, watch movies, listen to music, go to art museums, travel, take people to lunch, etc. Just being open and alert and on the lookout for That Thing that will get me going again. Getting out the jumper cables and hunting down a battery. It’s not always Great Work that jumpstarts you, either. Sometimes seeing crummy work out in the world will give you a kick in the pants. 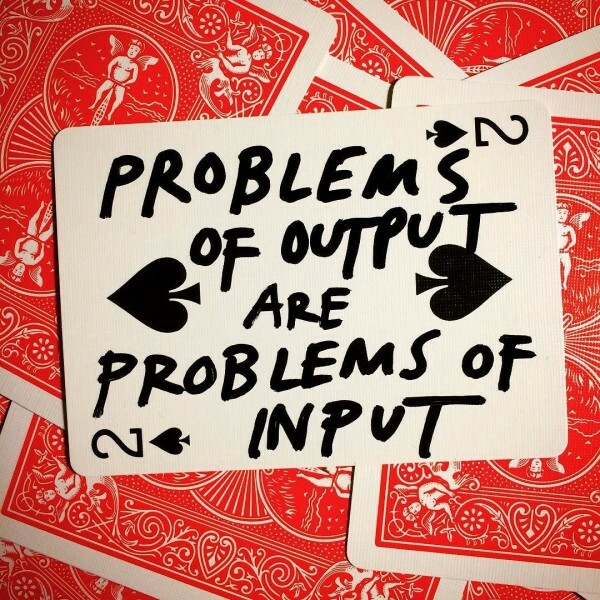 Problems of output are often problems of input. 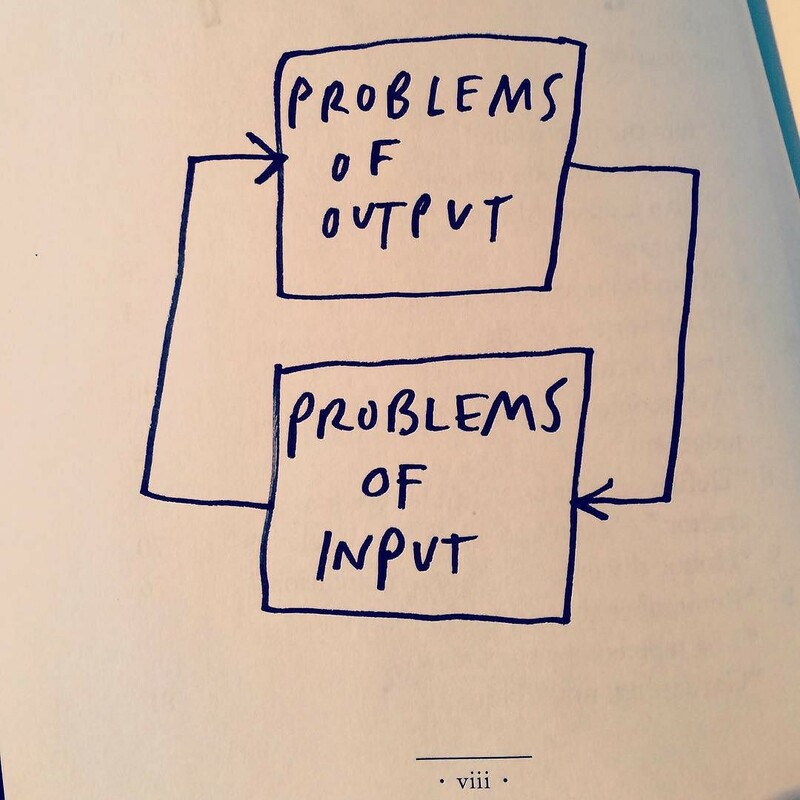 If you’re output isn’t where you want it to be, try working on your input.